tranquil locale, complete with sun drenched beaches and limitless recreational activities on land and in beautiful tropical waters. Belize, known in travel circles as "Mother Nature's Best Kept Secret", is truly a tropical paradise. 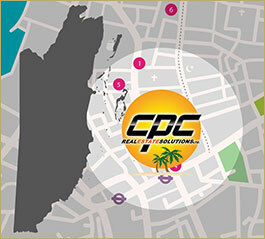 An exotic tropical paradise that is now opening it's doors to all your dreams of new experiences. Who is eligible for the Qualified Retirement Program offered in Belize? Anyone forty-five years and older from anywhere in the world can qualify for the Belize retirement program. A person who qualifies can also include his or her dependents in the retirement program. All persons who have been designated a Qualified Retired Person shall be entitled, on first entering Belize, to import his or her personal effects and an approved means of transportation free, such as a motor vehicle, boat, or light aircraft of all import duties and taxes. A Qualified Retired Person shall be exempt from the payment of all taxes and levies on all income or receipts which accrue to him or her from a source outside of Belize whether that income is generated from work performed or from an investment. All privileges, exemptions and regulations are governed by the Belize Retired Persons (Incentives) Act, 1999. In order to qualify for retirement in Belize, there are a few requirements that you must meet. Currently, you must be at least 45 years of age in order to qualify for the retirement program. If you qualify, then your dependents and spouse can be included with you on your application. You must also meet some financial requirements. Under current law, applicants must be able to provide proof of at least US$2,000 per month. Applicants must also permit a background check to be completed by the Ministry of National Security. Unlike most countries, the retirement program in Belize is sponsored by the Belize Tourism Board, who forwards all applications and materials to the Department of Immigration and Nationality. When you submit your application, you will need the following: a birth certificate, a marriage certificate if you are bringing a spouse and dependants, a police record not issued more than one month prior to application, a passport, the aforementioned proof of income, four passport size photos and a medical exam, which includes an AIDS test. And you will have to pay all the fees associated with the application. Currently, the fees for applying to the retirement program in Belize are broken down into four separate categories. First, a non-refundable fee of $150 is due when you submit your application. If you are accepted into the retirement program, then you will need to pay a program fee of $1000 upon acceptance. And, once accepted you will have to pay $200 in order to receive your residency card. If you have any dependents, then there is a fee of 750 for each one to enter the program with you. If you are accepted into the program, then you should know that once you arrive in Belize that you are not allowed to seek employment or work for pay while you are in the country as a member of the retirement program. *** please note that these regulations are subject to change - for current regulations, please contact the Belize Tourism Board. Belize is a well-developed legal system modeled off British Common Law and statutes. The Retired Persons (Incentives) Act of Belize – which offers certain tax exemptions and incentives to qualified retired persons. The Limited Liability Partnerships Act of Belize – which permits the creation of limited liability partnerships. The International Financial Services Commission Act of Belize – which seeks to promote, protect and enhance Belize as an international financial services center and to regulate the provision of international financial services. The Belize Trust Act in 1992 – for the benefit of any person whether or not ascertained or in existence and for the valid charitable or non-charitable benefit of all. The Belize International Banking Act of 1996 – simultaneously with the Money Laundering (Prevention) Act which established mechanisms and procedures to ensure that Belize's financial institutions are not used to disguise the source of illicit funds. Today because of its laws, Belize has become the retirement and offshore jurisdiction of choice.